From left, Taylor Redfern, Johnny Redfern, Ethan Chen, Sean Busse and LTS math teacher Patrick Fleming. 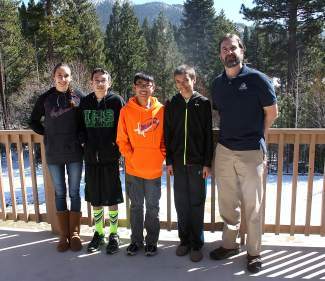 INCLINE VILLAGE, Nev. — A group of outstanding mathletes competed in the national MATHCOUNTS middle school math competition at the University of Nevada, Reno, on Feb. 21. Lake Tahoe School was represented by Ethan Chen, Taylor Redfern, Johnny Redfer, and Sean Busse at the regional contest. Chen placed ninth out of 133 students and advanced to the state competition, set for March 21. The LTS team, coached by Incline High School student Allison Tong, placed seventh out of 17 teams. 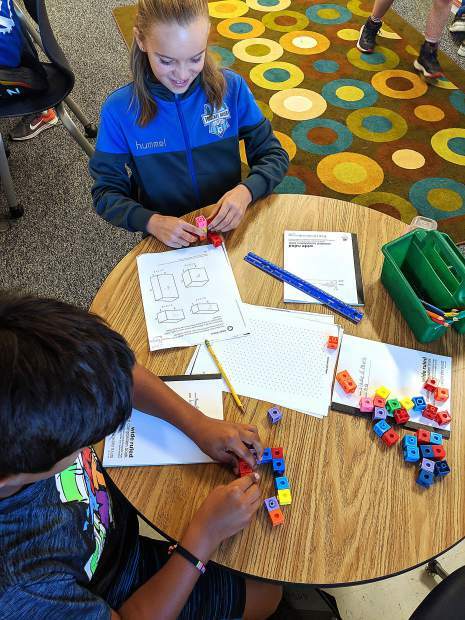 The MATHCOUNTS Competition Series is designed for students with a talent and passion for math who have a desire to test their math skills against the best at the local, state and national levels. Successful competitors win scholarships and prizes each year. This article was submitted to the Bonanza by the Lake Tahoe School. Visit laketahoeschool.org to learn more.